The operation or workings of prayer have been a mystery to some through the ages. For some prayer seems to be some mundane Christian civic duty; a check off list, if you will, of something that needs to be done. For others, prayer seems to be elusive; difficult to understand the concept of and even more difficult to do. Good news! Prayer is not either of those things. Prayer is something that is given to us as an honor; as a way to reach the heavenly Father personally, one on one. How awesome is that? Prayer is as essential to the Christian life as breathing or eating. It is necessary to stay spiritually nourished in Him. One’s life speaks volumes; more than one’s words ever will. Most people will judge you by what they see and what Jesus’ disciples saw was a man who was dedicated to prayer. While He walked on the face of this earth, He was known for offering up “prayers and supplications with strong crying and tears,” (Hebrews 5:7). Witnessing personally His uninhibited habit of going before the Father with His petitions and the outpourings of His soul, the disciple wanted to know more. How awesome it is for the disciple to see such a one as He doing the miraculous and being identified as the Son of God, still find a need for prayer? It’s huge! It lets us know that if Jesus needed constant contact with the Father to do life on earth, then so do we. Perhaps this is why a disciple of His questioned Him on prayer and wanted to know more on how to do it? So, after He was finished “praying in a certain place . . . one of his disciples said unto him, Lord, teach us to pray.” The Bible doesn’t tell us which disciple it was that asked, and it doesn’t matter. What does matter is the disciple’s willingness to learn from the Master. When one sees something genuine and real, they want more of it and want to know how it’s done. I believe the disciple saw a treasure in prayer and longed to experience it as Jesus did. Asking to be taught the ins and outs of this valuable resource was the beginning of a great discovery that Jesus was all too willing to share. Below are four key points that popped out at me during this study on this model prayer that Jesus taught. These are key elements that I believe will help boost our prayer life, taking it out of the mundane onto a platform where it makes a real difference in our lives. 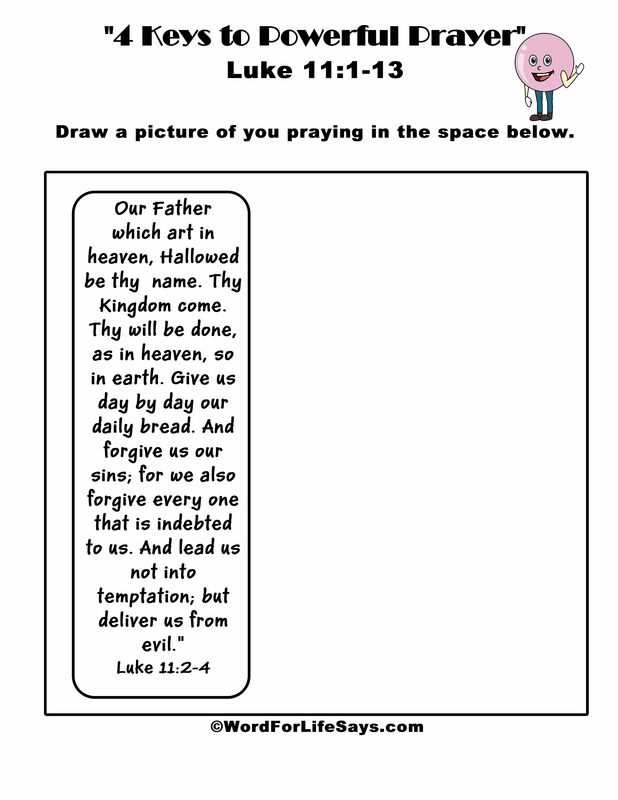 Starting with the statement, “Our Father which art in heaven,” Jesus acknowledges to whom one’s prayers should be directed. And, in the verses following God gets the credit for everything! This is acknowledgment. “Our Father” describes the intimate, relational context in which God wants to be committed to us. Did you get that? God wants to be “Our Father” so much that Jesus, God incarnate, instructed us to address Him as such in prayer. Man may not always step up to the plate to fill this role, but God does. He willingly takes on the role of “Father,” meaning more than provider in my view. He takes on the responsibility to love, care and nurture them who come to Him seeking Him as daddy. Romans 8:15 describes it as this: “Ye have received the Spirit of adoption, whereby we cry, Abba, Father.” This adoption is an on-purpose act of love that He is seeking to fulfill as role of “Father.” God “will be a Father unto you, and ye shall be my sons and daughters, saith the Lord Almighty,” (2 Corinthians 6:18). “Hallowed be thy name.” Part of acknowledging prayer is respecting His holiness. Oh, I cringe when I see people take the name of the Lord in vain. God’s name is not like any other and should not be treated as it is. His name is holy (Isaiah 57:15), and He is the one who “dwell in the high and holy place.” When one invokes God’s name in prayer it is not a plaything. We are seeking His holiness to come in on our behalf; garnering His stamp of approval. Heaven knows how to treat His name so much that they speak the word “holy” three times: “Holy, holy, holy, is the LORD of hosts,” (Isaiah 6:3). Acknowledging prayer recognizes God’s authority, His power, His Sovereignty, His control, His kingdom and His will overall. “Thy kingdom come. Thy will be done, as in heaven, so in earth.” No wonder at the end of the parallel of this prayer found in Matthew 6:13 it states, “For thine is the kingdom, and the power, and the glory, for ever. Amen.” We should want to see the glory of God’s will take over the atmosphere of this old stale world “as in heaven.” We should have heavenly visions of God’s power reclaiming this earth. Acknowledging prayer recognizes that God is the provider of all. “Give us day by day our daily bread.” “Not that we are sufficient of ourselves to think any thing as of ourselves; but our sufficiency is of God,” (2 Corinthians 3:5). We, as all other things created, are dependent on Him as our provider. “Behold the fowls of the air: for they sow not, neither do they reap, nor gather into barns; yet your heavenly Father feedeth them. Are ye not much better than they?” (Matthew 6:26). God will provide. Acknowledging prayer knows that forgiveness comes from God: “And forgive us our sins; for we also forgive every one that is indebted to us.” 2 Chronicles 7:14 declares, “If my people, which are called by my name, shall humble themselves, and pray, and seek my face, and turn from their wicked ways; then will I hear from heaven, and will forgive their sin, and will heal their land.” God wants to spiritually heal people from their sin-sick ways. “If we confess our sins, he is faithful and just to forgive us our sins, and to cleanse us from all unrighteousness,” (1 John 1:9). In return, we are expected to offer forgiveness to those who ask for it. Gulp! Yes, forgiveness in any form can be a hard pill to swallow. But, let me ask you this. How many times has God said no to us whenever we sought for healing and restoration for the wrongs we have done? Exactly, He hasn’t! Forgiveness, much like love, is nothing to be played with. It is not a lip service to please others rather, it is a heart service to the Lord. It is, in a sense, showing to others the same grace and mercy that God showed toward us. And, we acknowledge that this is His will for us. Acknowledging prayer shows God as a deliverer: “And lead us not into temptation; but deliver us from evil.” God doesn’t tempt people into sin. “Let no man say when he is tempted, I am tempted of God: for God cannot be tempted with evil, neither tempteth he any man,” (James 1:13). Sin is a choice and so is choosing to let God lead and trusting Him to keep you in those hard times. “O keep my soul, and deliver me: let me not be ashamed; for I put my trust in thee,” (Psalm 25:20). “Keep back thy servant also from presumptuous sins; let them not have dominion over me . . .” (Psalm 19:13). He is a keeper to them that know Him as a deliverer and He is a protector against the ultimate enemy, the devil. The scenario is simple: it’s late in the midnight hour and someone has dropped in unexpectedly. The problem with the scenario is due to the lateness of the hour and the unexpected nature of the visit there was not enough time to gather resources to care for this visitor. Now, I don’t know about this neighbor, but waking up at midnight is not exactly a welcomed intrusion into my otherwise restful night. Then, to have the audacity to show up banging on my door and asking for food at that time… well, that’s a whole other story! But hospitality was central to the culture of the day and was expected to be doled out accordingly. Also, in those days, sleeping arrangements were generally shared by the whole family. Doors had big, heavy bolts that clanged and banged if moved. To get to the bread one would have to step over kids, make noise to get the bread and bang and clang the door opened and shut again. At this point, the whole house could easily be disturbed. Jesus stated that the neighbor eventually will give his friend what he is asking but not because he is a friend. He will only get up out the bed because of his “importunity;” or his persistence. 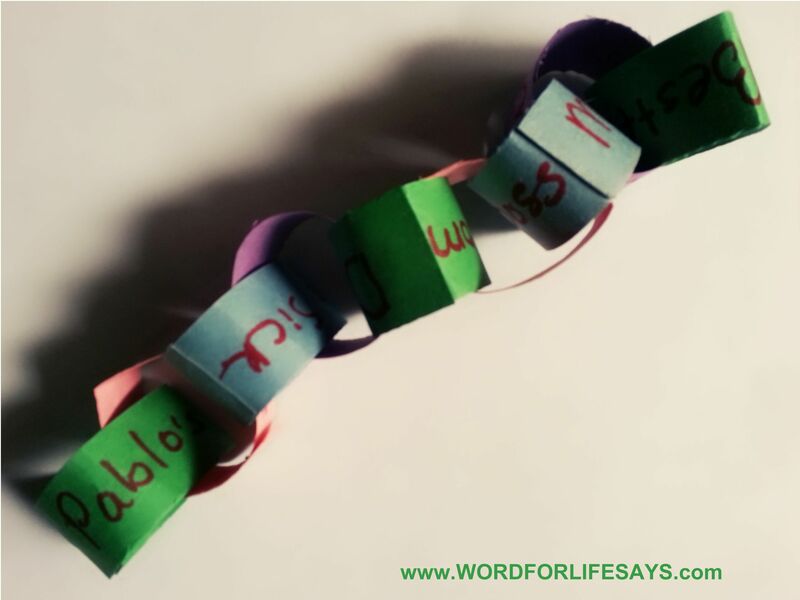 Jesus uses this scenario to teach us the power of persevering prayer. One cannot give up so easily. We have been afforded the privilege to come before the throne of grace “that we may obtain mercy, and find grace to help in time of need,” (Hebrews 4:16). We must be persistent in that privilege. One’s lack of persistence in prayer can be tied to a lack of faith. Jesus told the parable of the unjust judge and the widow to illustrate His point: “Yet because this widow troubleth me, I will avenge her, lest by her continual coming she weary me,” (Luke 18:5). Jesus then asked, “Shall not God avenge his own elect, which cry day and night unto him, though he bear long with them? I tell you that he will avenge them speedily. Nevertheless when the Son of man cometh, shall he find faith on the earth?” (Luke 18:7-8, emphasis mine). A powerful key component of prayer is not to give up too quickly. When one prays expect to receive an answer; expect to see some sort of fulfillment to come from your prayers. Look for something to happen as a result of your praying. Even if the answer doesn’t look the way you imagine it should, your prayers do not fall on deaf ears. Be confident that God hears you. God is attentive to you. God does not leave you in a state of wanting. David said, “The LORD is my shepherd; I shall not want,” (Psalm 23:1). There will be results. When I plant a seed in the ground, I expect to see some sort of growth come out of it. It may take a while but eventually, I should start seeing a little sprout begin to poke its head through the surface of the dirt. As I watch it grow to full fruition, I expect to be able to reap off of what I have sown. Your prayers are like you planting a seed, and what is being said here is that when you do these things: ask, seek and knock; growth is going to come from it. Expect it! The word “shall” appears as reassurance four times in just these two verses meaning this is what will happen as a result of praying in this manner. Let me remind you that Jesus is the one who is teaching this lesson and He is the one telling us to “Ask . . . Seek . . . Knock.” He is the one who speaks of “receiving, finding and opening” as a result of praying. Whatever it is, keep looking to God for the answer. “Be careful for nothing; but in every thing by prayer and supplication with thanksgiving let your requests be made known unto God,” (Philippians 4:6). Make it known unto God and keeping making it known with the anticipation of seeing something happen. “And this is the confidence that we have in him, that, if we ask any thing according to his will, he heareth us: And if we know that he hear us, whatsoever we ask, we know that we have the petitions that we desired of him,” (1 John 5:14-15). Therefore, we can expect to see results. Believe in the goodness of God. Believe in your relationship with Him as a child of the heavenly Father. Believe that He always seeks to give you His best (ex. John 3:16). I often refer to God in my personal prayer as the Good Father who gives good gifts to His children. It’s something we must hold on to and depend upon. Believe that God knows how to answer our prayers. I am a mom who is not perfect, but I love my children to distraction. I want what’s best for them. If they ask for food, surely I will not make a stone sandwich and expect them to eat. I want them to experience good things. I want them to be satisfied with the goodness of my house. God is perfect in all that He is and does, so doesn’t He too have the same aspirations and love toward them that are His? He is not aloof but caring. He is not unapproachable; rather, He invites us to ask for the good. We have to step out of ourselves and believe with childlike faith that our heavenly Father knows and cares about our petitions that go up before Him. This is a trust issue in our relationship with Him. We rely on Him to supply: “But my God shall supply all your need according to his riches in glory by Christ Jesus,” (Philippians 4:19). He is well able and wants to answer our prayers. “And all things, whatsoever ye shall ask in prayer, believing, ye shall receive,” (Matthew 21:22, emphasis mine). And, the most precious gifts of all that He is more than willing to give to those who ask is the gift of the “Holy Spirit.” We need the “Holy Spirit!” He is our comforter (John 14:16). He is our sealed promise (Ephesians 1:13). “The love of God is shed abroad in our hearts by the Holy Ghost which is given unto us,” (Romans 5:5). The “Holy Spirit” teaches us the things of God, (1 Corinthians 2:12-13). We need the gift of the “Holy Spirit” in order to make it in this world. Therefore, ask with a believing heart, and God will give! Prayer is powerful! 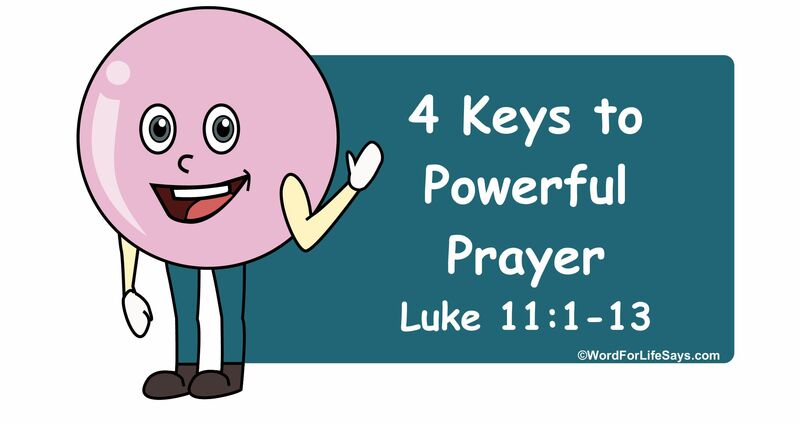 Jesus lists key points for every believer to enrich their own prayer life. It’s up to us to use this valuable information to the fullest.